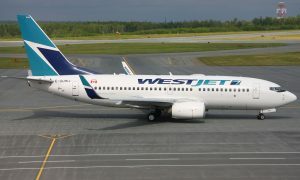 WestJet announced it will double its schedule of weekly flights between St. John’s and Orlando, effective January 2016. The airline will add another flight to Orlando each week, on top of the one flight announced earlier this year. 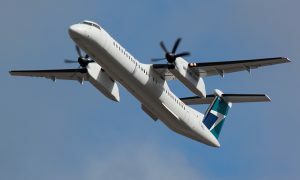 “With the addition of a second weekly flight from St. John’s, WestJet now offers Atlantic Canadians eight non-stop flights each week from St. John’s, Charlottetown, Halifax and Moncton, giving travellers many options for affordable, flexible-length stays in Central Florida,” said Chris Avery, WestJet Vice-President, Network Planning, Alliances and Corporate Planning. Serving St. John’s since 2003, WestJet operates nearly 30 flights per week from St. John’s International Airport during the winter months. Non-stop service between St. John’s and Dublin, Ireland, launched in 2014, was WestJet’s first transatlantic service. WestJet serves Orlando with a total of 43 flights per week during peak winter months from Vancouver, Calgary, Edmonton, Winnipeg, London, Kitchener-Waterloo, Hamilton, Toronto, Ottawa, Montreal, Halifax, Moncton, Charlottetown and St. John’s.